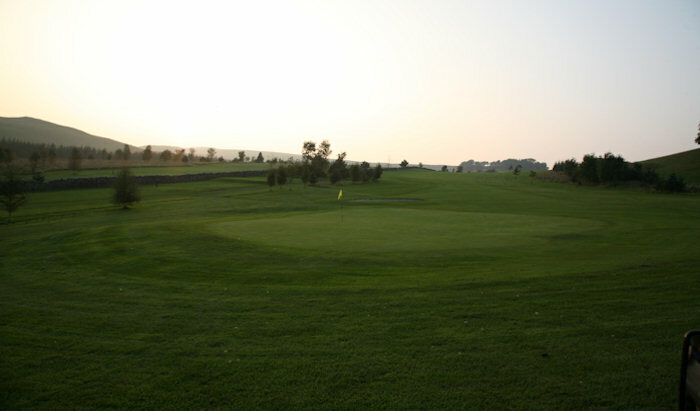 Located in the heart of the Scottish Borders, the Woll Golf Course is a fantastic place to enjoy a day’s golf. Following the gentle contours of the Ale Valley, it a truly superb test of golf and one that you will be able to enjoy no matter whether how low or high your handicap. The course is surrounded by mature trees, so accuracy off tee is of paramount importance if you want to shoot a score worth bragging about, whilst the meandering Woll Burn, which comes into play on a number of the holes, will also keep you on your toes. Situated just off the A7 between Selkirk and Hawick, the course is easily accessible and also boasts some of the finest facilities in the Borders, including an award-winning restaurant and bar. 17th – This hole is a real challenge. With a pond running the length of the right side of the fairway and a mature tree protecting the left side, there is plenty to test even the most experienced golfer. That’s before even reaching the green, which is surrounded by water to the front.